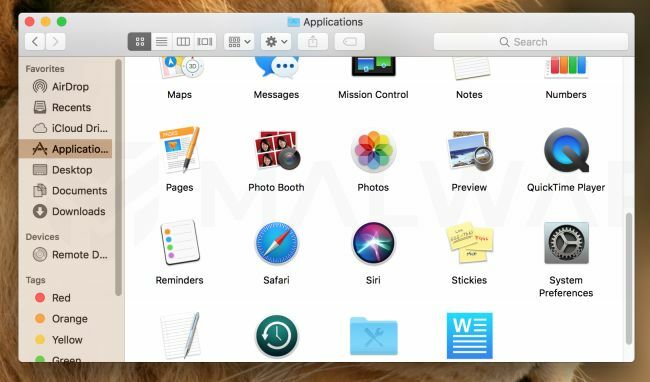 Smart Mac Booster is a potentially unwanted application, which is advertised as a system optimizer, and once installed it claims that several issues were been detected on your Mac. However, if you try to fix these issues, Smart Mac Booster will state that you need to buy the full version before being able to do so. 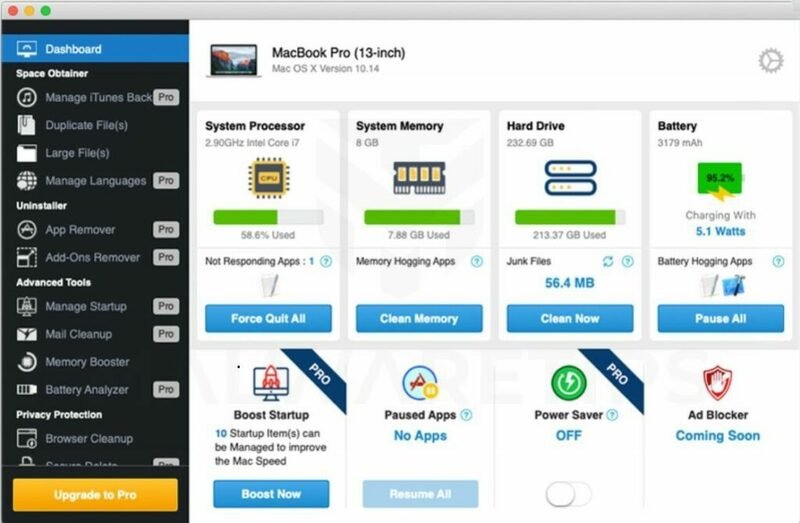 Smart Mac Booster is bundled with other free software that you download off of the Internet. Unfortunately, some free downloads do not adequately disclose that other software will also be installed and you may find that you have installed adware without your knowledge. 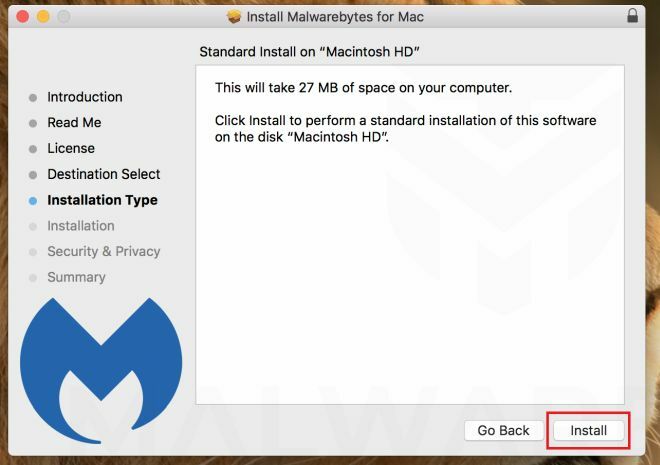 You should always pay attention when installing software because often, a software installer includes optional installs, such as this Smart Mac Booster potentially unwanted program. Be very careful what you agree to install. In this first step, we will try to identify and remove any malicious app that might be installed on your device. 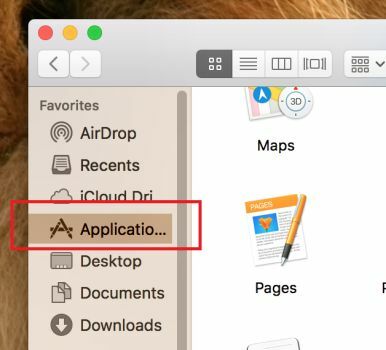 Click the Finder application on your dock. In the Finder left pane, click on “Applications“. Find and remove the malicious app. The “Applications” screen will be displayed with a list of all the app installed on your device. Scroll through the list until you find the Smart Mac Booster app, right-click it, and then click “Move to Trash”. The malicious app may have a different name on your device. If you cannot find any malicious apps, you can proceed with the next step. 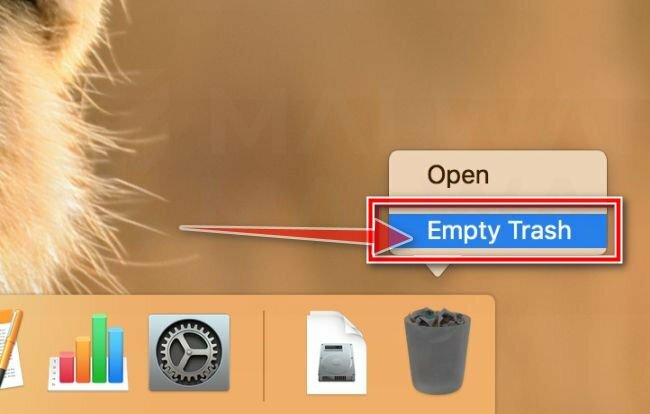 On the dock, right-click on the trash icon and select “Empty Trash”. Doing so deletes the Trash’s contents, including the program that you just sent to the Trash. This program may add a widget icon on the menu bar, if you see the Smart Mac Booster icon in the right end of the menu bar, click on it and then select “Close”. Next, click the desktop to make sure you’re in the Finder, choose Go > Go to Folder, type in /Users/Shared/. In the Shared folder, delete the Smart Mac Booster files and folders. Some types of malware may also create a new group policy for your device, before we proceed with the other steps we need to remove these unwanted changes. The list will include an item “AdminPrefs“. Select this and click the remove “–” button in the lower left corner. Malwarebytes is one of the most popular and most used anti-malware apps, and for good reasons. It is able to destroy many types of malware that other software tends to miss, without costing you absolutely nothing. 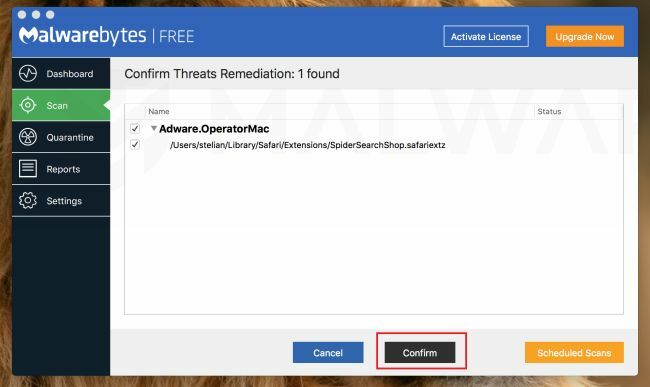 When it comes to cleaning up an infected device, Malwarebytes has always been free and we recommend it as an essential tool in the fight against malware. 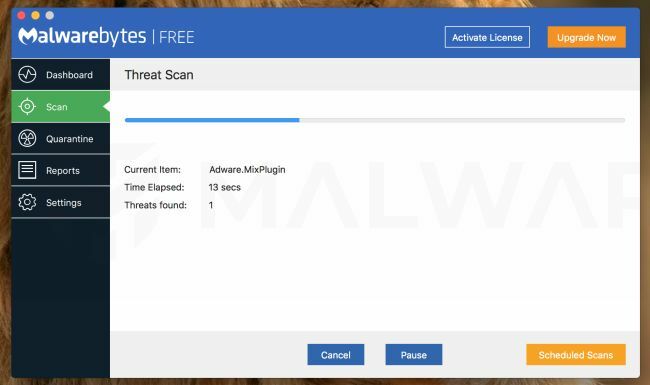 The first time you install Malwarebytes, you’re given a free 30-days trial of the premium edition, which includes preventative tools like real-time scanning and specific protection from ransomware. After 30 days, it automatically reverts to the basic free version that will detect and clean up malware infections only when you run a scan. 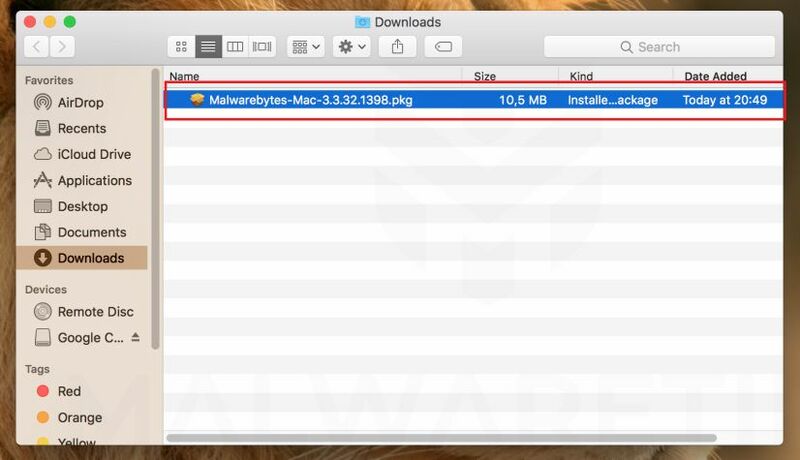 When Malwarebytes has finished downloading, double-click on the Malwarebytes-Mac-3.x.y.zzz.pkg file to install Malwarebytes on your device. In most cases, downloaded files are saved to the Downloads folder. When the Malwarebytes installation begins, you will see the Malwarebytes Setup Wizard which will guide you through the installation process. 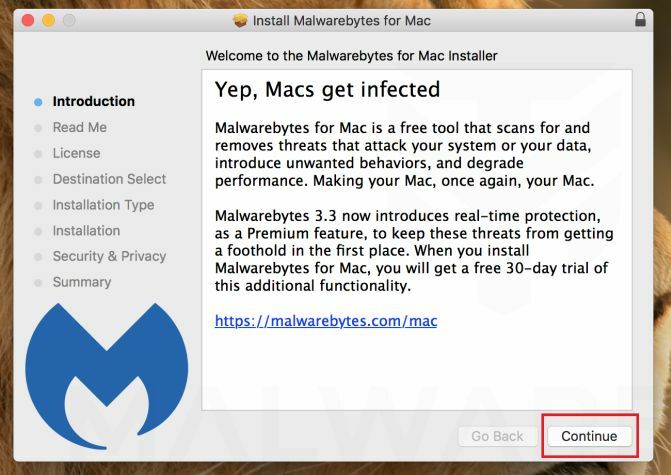 The setup wizard displays an introduction to Malwarebytes for Mac. Click on “Continue” to complete the installation process. 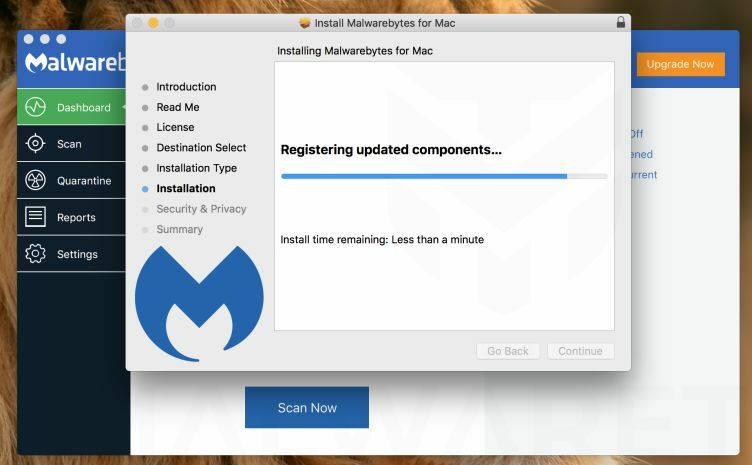 Malwarebytes will now start scanning your Mac for adware and other malicious apps. This process can take a few minutes, so we suggest you do something else and periodically check on the status of the scan to see when it is finished. When the scan has completed, you will be presented with a screen showing the malware infections that Malwarebytes has detected. To remove the malicious apps that Malwarebytes has found, click on the “Confirm” button. Malwarebytes will now remove all the malicious files that it has found. 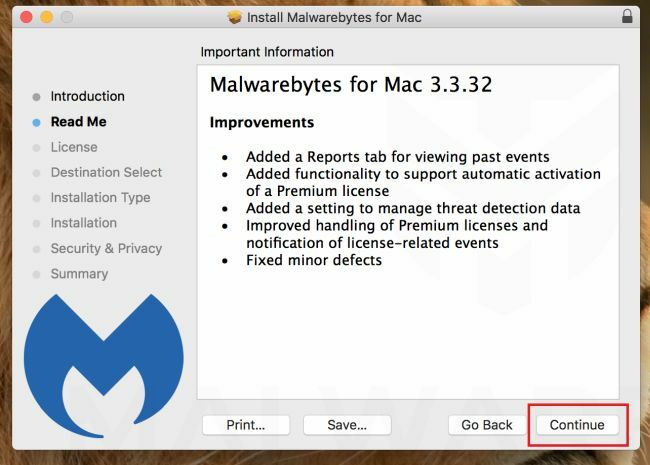 To complete the malware removal process, Malwarebytes may ask you to restart your device. Smart Mac Booster should have now be competently removed from your device. If you are still experiencing problems while trying to remove Smart Mac Booster, please ask for help in our Malware Removal Assistance for Mac forum.